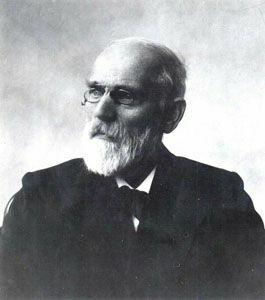 The Van der Waals equation is the equation of state of real gases named after its discoverer, the Nobel physics prize winner Johannes Diderik Van der Waals. It is an equation used to describe the behaviour of gases in conditions of temperature T and pressure P over a wider range than for ideal gases for a volume V occupied by n moles. It predicts the liquefaction of gases. Firstly, gases are composed of molecules that have a certain volume. Next, there are interactions other than simple elastic shocks between the molecules. As a result, forces of attraction between the molecules will make the pressure of a real gas lower than that of an ideal gas, especially at high pressures. To take these facts into account van der Waals introduced correction terms into the ideal gas equation PV=nRT. These terms are those involving constants a and b in the above equation and they are determined experimentally. The covolume b is the volume of the atoms/molecules themselves in one mole of gas and is interpreted as an excluded volume (it is impossible for the volume of gas to be less than b). The term an2/V2 takes into account the mutual attraction of the atoms/molecules in a real gas. this would later be called the Van der Waals forces between the atoms/molecules.